Pioneers in the industry, we offer polypropylene chemical process pump for chemical industry from India. 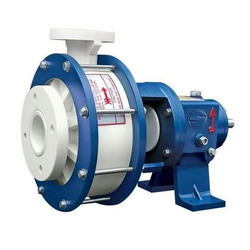 We offer a wide range of Polypropylene Chemical Process Pump for Chemical Industry. Polypropylene pumps are a horizontal single end suction standardised back to pull out centrifugal pumps.